Ensuring her company's success is Debra Laurie's life. But when she goes undercover to investigate a failing hotel in southern New Zealand, she finds her confidence crumbling. Masquerading as a waitress is a disaster--especially when the hotel's assistant manager is a former rugby star she once had a crush on. Jase McEwan is struggling to keep the hotel afloat. An unpredictable manager, ridiculous demands from the head office, and employee unrest are problems enough. Now a haughty new waitress is causing mayhem in the restaurant--and in his heart. Determined to be impartial, Debra sets out to discover if Jase is responsible for the hotel's drastic situation. But the more she investigates, the more she likes his work--and the more their attraction sizzles. Before long, Jase has turned Debra's world upside-down. 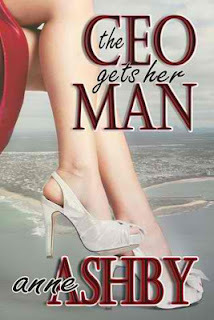 But what happens when he learns the new waitress is really his CEO? I loved Debra and Jake's characters! They were amazingly well-developed and interesting. I became so engrossed in this story that I could not wait to solve the whole mystery of what was going down at the Riversleigh hotel in Southland. Yet when that problem was resolved, I felt like there were details that were lacking in its resolution. Also, the last third of the story almost felt like a whole new 'book' to me; we had solved the crux of the first two-thirds of the book and then we were on to a new problem. However, Ms. Ashby's writing is compelling and I truly enjoyed the book! Cussing, sensual and descriptive intimate scenes. You can pick up The CEO Gets Her Man via Amazon. Winner of Shades of Sedona by Beth Carpenter!